On arrival at Chennai airport, meet our representative who’ll guide you to your hotel. Check-in at the hotel. 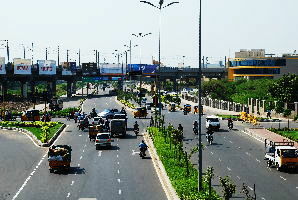 After resting for a while, embark on a sightseeing tour of Chennai. 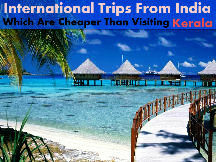 The major tourist attractions in Chennai includes the Fort St. George, St. Thomas Mount, St. Thomas Cathedral Basilica, Kapaleeshwarar Temple and the National Art Gallery. In the evening visit the beautiful Marina. Don’t try swimming at Marina beach since there are strong tides present along the shoreline and no rescue equipments and lifeguards are available at this beach. Overnight stay at the hotel. In the morning leave for Mahabalipuram via. 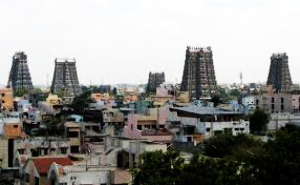 Kanchipuram. 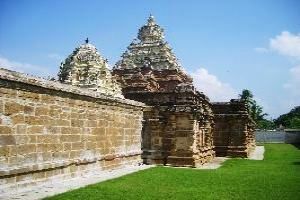 The major Kanchipuram tourist attractions include visits to the Kailasanathar Temple, Ekambareswarar Temple and Varadharaja Perumal Temple. 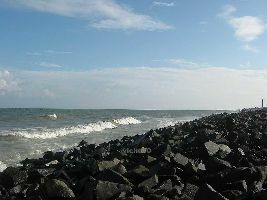 Then resume with your drive to Mahabalipuram. This 7th century former port city is famous for its rock-cut shore temples. On arrival, check-in at hotel. The rest of the day is to be spent at leisure. Overnight at the hotel. 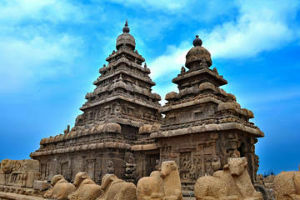 Next morning after breakfast, move out on a sightseeing tour of Mahabalipuram. The major attractions to visit includes the Shore and the Five Ratha temples, Arjuna’s Penance and the Tiger caves. After the visit leave for Pondicherry. After reaching Pondicherry, check-in at hotel. Rest and relax for the day. In the evening you may take a leisurely walk to the local market of Pondicherry. Return to the hotel for overnight stay. Post breakfast, set out to explore the Pondicherry for its diverse attractions like the coastline of 32 Kms, palm-fringed beaches, backwaters and fishing villages. Later in the afternoon visit Aurbindo Ashram and Auroville. After visit drive to Swamimalai. Stop midway to visit Chidambaram, and Gangaikonda Cholapuram. On reaching Swamimalai, check-in to hotel. 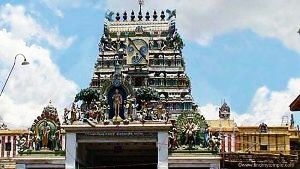 Later in the day visit the Swamimalai Murugan Temple. Overnight stay at the hotel. After breakfast head straight to Thanjavur. 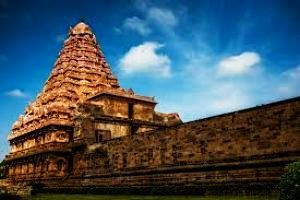 Thanjavur is known as the city of temples as it has many famous temples in and around the city including the Navagraha temples. On reaching Thanjavur, check-in at one of our listed hotels. After resting for a while, set out on a guided city tour of Thanjavur including major tourist destinations like the Vijayanagar Fort, Shiva Ganga Garden, Aalangudi temple, Brihadisa temple and the Chandra Bagawan Temple. 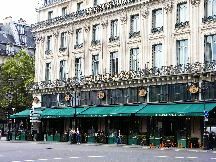 In the evening return to the hotel for overnight stay. Post breakfast on the last day of the tour, get transferred to the Madurai airport/railway station to aboard a flight/train for your onward destination.